Freestyle Friday is back, but with a twist! Emerging MCs will have to show off their skills on Youtube! According to bet.com, BET is partnering with YouTube to launch #FreestyleFridayBET, the ultimate video-upload contest seeking out the best undiscovered MCs around the world. 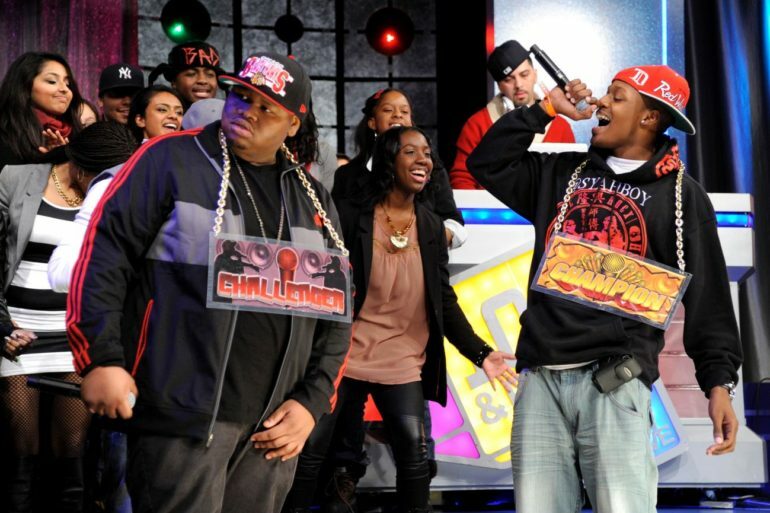 Contestants will battle at YouTube studios in four major cities, New York, London, Toronto and Los Angeles to show off their rhymes in 60 seconds. A finalist from each city will be selected by radio DJs across the world, who will cast a digital ballot ranking their top ten. The rapper who receives the most number 1 rankings will be the official winner of #FreestyleFridayBET in their city. The four winning finalists from each city will be flown to LA to take part in a rap battle that will be judged by a panel of celebrities during the BET Experience on June 23rd. For more information on how to qualify or view official cities and dates, click here. If you’ve always wanted a chance to battle on Freestyle Friday, don’t miss this opportunity to expand your brand through YouTube. Next ArticleT.I. Set to Star In & Co-Produce New TV Drama "Glow Up"